To start working in our system you need to create a project and add an URL that you wish to promote. 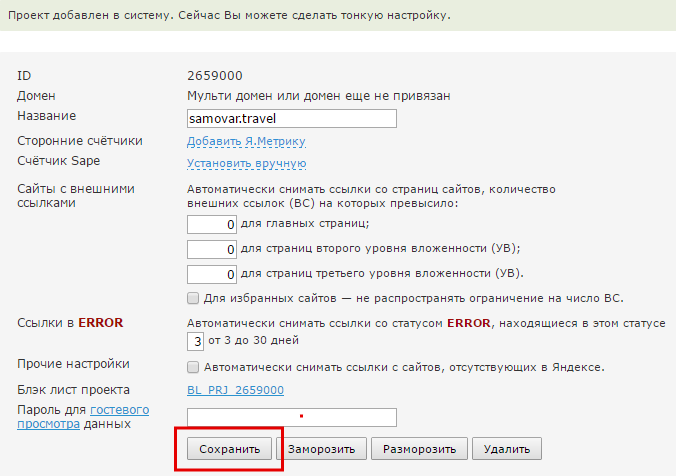 Firstly, click on "Create new project" button on the page https://www.sape.ru/projects.php. 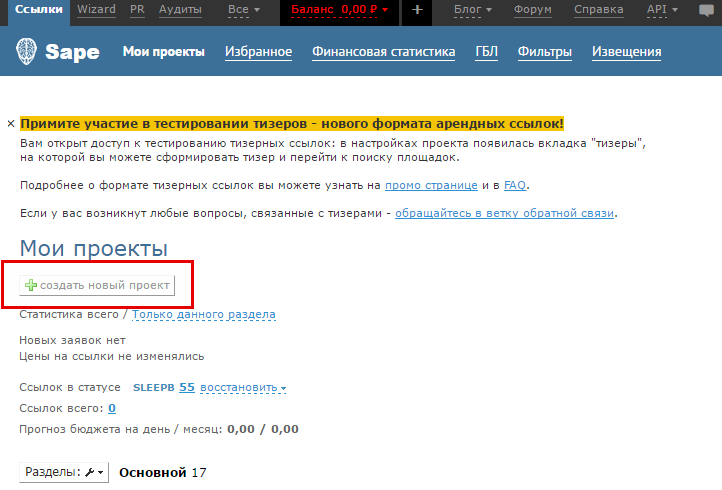 On the opened page enter the name of your project, then select the "Classic" promotion method and click "Add". You've almost made it! 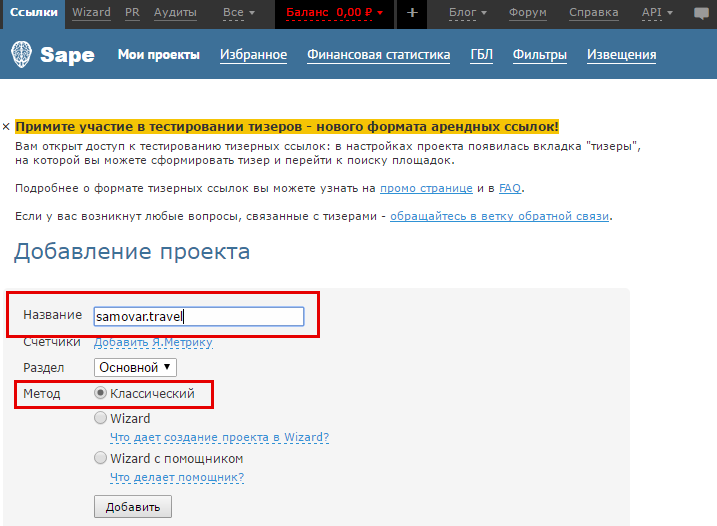 This is the last step, where you can find basic project settings. Click on "Save".